Hospitable and hardworking, the Rossi family is headed by father Marino, a lifelong passionate winemaker and agriculturalist and mother Ines, a winery engineer. They are followed by their three sons, Luka, Marko and Filip. Nona Giovanna and aunt Antonia are here to look after everyone’s well being. Above all, here is nono Federico, epitome of inspiration and experience, who, at eighty eight, still meticulously nurtures his beloved vines. Vina Rossi has been awarded “gold” medal status at Vin Istra for their premium Malvazija Templar and a “silver” medal for their fresh Malvazija Istarska. The Rossi family produces wine from their own grapes, grown on over 12ha of independently planted and carefully maintained high-quality vineyards. Vineyards are nestled on nine different locations around Bajkini village in the North-West of Istria. The Rossi family wines are representative of the modern approach to infused traditional wine making. Their special relationship with indigenous Istrian vine varieties makes their wines particularly interesting and their mission of local, traditional wines being enjoyed locally and internationally a reality. As a rule, dry years regularly produce better yield from the white and gray soils, whilst the rainy years favour red soil. This is a balancing factor that preserves the overall harvest quality. VINIFICATION – 12 maceration on 18°C. Fermentation in stainless steel tanks. 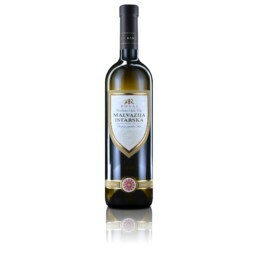 TASTING NOTES – crystal clear wine of greenish-yellow, with a scent reminiscing of acacia flower, apple, plum, and apricot. Rounded and harmonic taste. FOOD PAIRING – perfect with seafood, poultry, and light cheese dishes, especially with grilled dondole clams sprinkled with olive oil. VINIFICATION – 35 days maceration on 20°C. 1-2 years oak barrel fermentation. 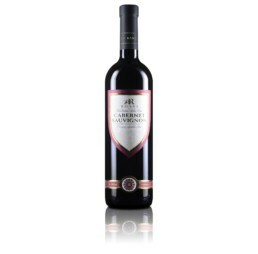 TASTING NOTES – Deep dark-ruby colour with a strong, elegant and rounded taste. The aroma evokes dry figs and ripe cherry, with a hint of black pepper and dark chocolate. FOOD PAIRING – red meat dishes, venison, mature full-fat cheeses and chocolate cakes. VINIFICATION – 12-24 hours maceration 20°C. 6 months fermentation in stainless steel tanks. TASTING NOTES – A beautiful, crystal clear and partially dense straw-yellow wine. Intense, profound scent with flowery and fruit aromas. FOOD PAIRING – chicken, hard cheeses and appetizers based on seafood. VINIFICATION – 40 days maceration on 20°C. 1-2 years oak barrel fermentation. TASTING NOTES – Ruby red wine, its bouquet reflects a scent of violets, fruity note of blueberries and raspberries, and an elegant tone of chocolate immersed sour cherry. FOOD PAIRING – wild game dishes and various mature cheeses.